Jinni the Genie is hands down my favorite monster. In fact, I appreciate that Legacies included a genie in the monster category simply because they are glamorized, but their manipulative nature is oft glossed over. In addition, “There’s a World Where Your Dreams Came True” may very well be the most relatable episode because though none of us are as selfish and self-centered as Lizzie, we’ve all found ourselves wishing for a “better” life at some point or another. Legacies’ mission was to prove that “better” doesn’t necessarily exist. Sometimes, what you think you want is actually a lot worse than what you already have. And you know that quote “everything happens for a reason?” Well, it couldn’t be truer, and Lizzie learned that the hard way. I never thought I’d say this, but I actually felt kind of bad for her by the end of it. The wishes Jinni granted Lizzie showed her vastly different realities that got increasingly worse with each wish made. While Alaric and Hope were trying to avoid getting blindsided by the genie in real life, the genie was observing and scouting the perfect broken-soul to pray upon. Unsurprisingly, she found a weakness in Lizzie that she just had to exploit. When Lizzie realized an actual genie could grant her wishes, she eagerly took her up on the offer thus allowing the writers a lot of creative freedom to play with narratives they otherwise never would have been able to. The what-ifs were endless and for roughly half of the episode, they were a complete hoot. That is until they took a really dark and unexpected turn. Altering realities is dangerous and like most magic, comes with a very steep price. It was obvious that Jinni’s end goal would be to trap Lizzie in a terrible reality with her only option of escaping being to hand over the key to Malivore. But before we get there, let’s pick apart these realities, which surprisingly had everything to do with Hope Mikealson’s existence and absolutely nothing with Lizzie’s awareness that she’s kind of a terrible, miserable and painstakingly difficult to deal with kind of person. Lizzie’s first wish was for Hope never to have attended the Salvatore School for the Young and Gifted. As you may already know, the phrasing of this wish was flawed from the get-go. In this alternate reality, Hope didn’t attend the school but that didn’t mean she couldn’t become a student at some point. Lizzie was initially happy in this first reality as she soaked up all of the love and training Alaric usually had reserved for Hope. This not only showed how self-centered and materialistic Lizzie was, but it also underlined how needy she is. It seems she really did all of this just to get daddy’s attention. But there was a reason Old-Laric had all this time for his twins. In this reality, the school didn’t have any of the funding from Klaus Mikealson since Hope didn’t attend thus making them poor. Lizzie couldn’t deal with the fact that the school wasn’t living up to its potential so she created a globe that led them to straight to New Orleans where a Klaus-like Hope slaughtering people left and right. After Alaric took Hope under his wing, the school began to thrive, but little Lizzie was again pissed that she failed to rid her life of Hope. In her second wish, she took it a step further and wished the Salvatore School for the Young and Gifted never existed. No school, no problem, right? Wrong. Without the school — Alaric’s dream created specifically to keep her and Josie safe — life felt a little meaningless to everyone. Alaric, aptly dubbed Drunk-Laric, found his happiness at the bottom of the bottle… during school hours and in class. Josie found her happiness in a materialistic lifestyle as the head cheerleader who was dating the QB. It was also Lizzie’s worst nightmare as she was the “school freak” and shadow to Josie, a clear departure from what she’s used to. Lizzie tried to make it work, but Josie’s disgust with her eventually triggered one of her episodes which alerted the cavalry aka the Kim Possible students of the Mikealson School for the Young and Gifted. Those outfits, that gear — it was everything. Again, Lizzie’s reality only became better when Hope was in it, and Josie and Alaric gravitated the tri-brid. The Mikealson version of the school, owned by Klaus who was ALIVE in this timeline and traveling Europe to open the second branch of the school, was trendier and more high-tech. But alas, Lizzie was still unhappy with Hope’s intrusion and couldn’t bother to absorb everyone else’s happiness. It was still all about her. And thus, she made her third and most selfish wish — she wished Hope never existed. Now, the lesson genies usually teach their subjects is that every action has a consequence. Without Hope, we entered a post-apocalyptic world where the government knew about and hunted down supernatural creatures after Klaus Mikealson, who no longer had an anchor to humanity, exposed them and started a war. Alaric and the rest of the students built up a resistance to fight back the TRIAD who was hunting them down. But the reason this was Lizzie’s work alternate reality was because Josie was dead because of her. Since the series kicked off, the secret of the Gemini Twin’s has been looming over the school. We’ve wondered when the series would address this issue aside from Caroline’s search for a cure in Europe, but I never expected the answer would come so soon and be revealed via an alternate reality. Way to throw me for a loop, writers! The 100-Laric told Lizzie all about the Gemini Curse which led her to be competitive with her sister, motivated to win, have an episode and accidentally kill her sister. The genie offered to revert everything back if Lizzie promised to hand over the artifact, but even in such dire circumstances, Lizzie knew she couldn’t do that to her family. For this, I’m really impressed. In her short time navigating these realities, Lizzie grew a lot. She became more level-headed, conscious, and more appreciative of what she had. These were the lessons we needed Lizzie to learn in order to become more tolerable. But when she figured out a loophole — she wished Genie would never have met the people who trapped her in Malivore — she essentially did the right thing while shooting herself in the foot. Everything she learned and all the progress she made went out the window because without Malivore she would have never met the genie and thus, would have no recollection of her wishes. Lizzie was sent back to her reality without any memories including the revelation of how the Gemini Cover curse plays out. Without this, there’s no way to prevent it or better herself to avoid it. Since Lizzie still feels like something transpired, the gaps in her memory actually make her feel like she’s losing her mind which again, don’t help in preventing her episodes. Will this be the catalyst to the Gemini Coven catastrophe? Without these experiences, she also goes back to hating Hope without realizing how vital she is to her very reality. The dramatic irony is going to be heavy for us as we now know the outcome of something major that none of the main characters do. How will this big family secret unravel? Will Alaric eventually tell the girls about the curse before it’s too late? 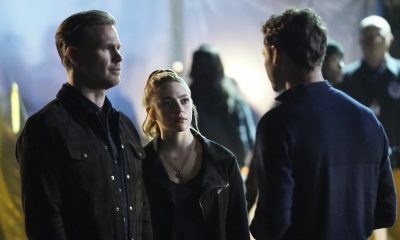 Though Legacies is its own series that tells a vastly different story from The Vampire Diaries and The Originals, the little subtle reminders that they operate in the same town are always appreciated. I loved the Klaus Mikealson poster hung up in a very Harry Potter-esque bus stop, and I couldn’t help but turn into a handful of goo when they said Damon and Elena had children to raise of their own. Be still my heart. I had my doubts about Legacies and how the writers would find a creative way to tell another vampire, witch, werewolf story, but they’ve outdone themselves. Each episode gets stronger in content and a shortage of material does not seem to be the issue. While many of the episodes have focused solely on Hope, it was nice to get inside Lizzie’s head for a little bit, even if she doesn’t remember any of it. Hope delivers, but Lizzie can stand on her own which is something the TVD and Originals universe always prided itself on: strong female characters. I’m turning it over to you, Cravers. What did you think of tonight’s Legacies? And the students of the Salvatore School for the Young and Gifted really proved themselves when push came to shove. They were brave, they stood their ground, and even outsmarted the agents of Triad Industries. Alaric was right when he said they fared brilliantly against the worst monster of all — ignorant humans. It’s almost as if they’d been fighting monsters alongside Hope all season long… oh, wait. Seeing how capable his students were should have eased Alaric’s mind and lessened his worries, but instead, he was more concerned about how his role as an ignorant human himself impacted his leadership of the school. When Alaric blamed himself for the mess they were are in, he was really acknowledging the backstory and roots. Alaric may be pro-supernaturals now, but those who have watched The Vampire Diaries know it wasn’t always this way. He started off as a vampire hunter wanting to eradicate the Earth from supernaturals. But his fate has always been tied to vampires, witches and werewolves ever since his first wife. I’m glad the writers acknowledged his past because it shows that it’s entirely possible for someone to change. However, after all was said and done (I’ll get to this in a minuted), will Alaric and the council even remember why they were voting on whether or not he should remain headmaster? Or has their memory been completely cleared? 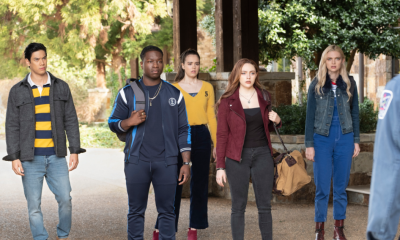 Legacies finished out its first season on a high note. And boy, Julie Plec wasn’t lying when she said it would be an emotional rollercoaster. Admittedly, I was skeptical about the series in the beginning. I wasn’t even a fan of the few first episodes as they felt too teeny-boppy and cheesy. 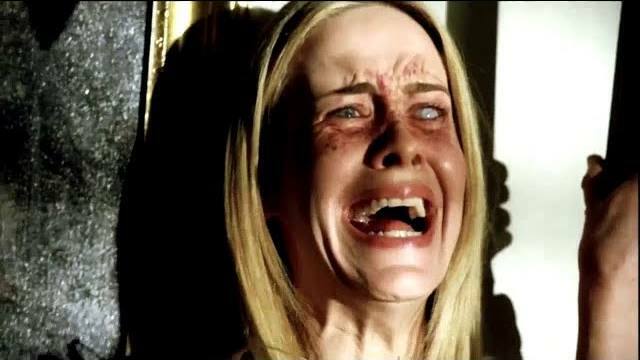 But Julie and team proved that they can deliver exceptional supernatural shows that feel fresh while simultaneously finding ways to relate and connect the storyline to its predecessors, TVD and The Originals. Hope Mikealson took a page of out Klaus Mikealson’s playbook and sacrificed herself to save her loved ones from Malivore. Either the fact that she’s a tribrid and the “key” (how Buffy-esque) to stopping Malivore’s rise(Hellmouth, anyone?) just fell into the writers’ laps or it’s something they’ve been mapping out since Hope’s conception. The latter is the most impressive from a planning standpoint, and I wouldn’t put it past Plec and the writers. This was always Hope’s destiny, but it isn’t her end-game. Hope didn’t dive into Malivore alone though. She took Landon’s snakey brother with her after performing a ‘follow the leader’ spell which was so second grade. I can see why Clarke was never Malivore’s perfect son. TVD started off with a good brother, Stefan, and a redeemable bad boy brother, Damon, but in this situation, the family dynamic between Landon and Clarke doesn’t seem as promising. While Hope’s sacrifice was a tough and heartbreaking decision, forcing Clarke to suffer the same fate lessened the blow and made it worthwhile. Hope’s journey from a lonely girl to a woman who realizes she’s better with a group and that she’s part of something bigger. She doesn’t need to carry this burden all on her own and if she had realized that sooner, maybe she wouldn’t be in this place. It’s unfortunate that as Hope starts having real meaningful connections with her fellow students, she also has to retreat into isolation. Malivore has been dubbed a lonely place and I’m afraid it will undo all the progress she’s made. But what happens now? The show’s heroine, and arguably the most powerful supernatural creature, has been swallowed up by a hell dimension. And the way Malivore dried up after they both fell in made it feel way too permanent. There’s also the little issue where no one has any memory of Hope. 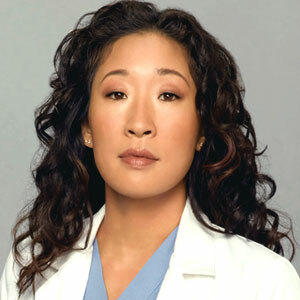 Being sucked up by a void of darkness erased her from everyone’s collective conscious and the remaining trace of her left behind at the school was erased by Ric. 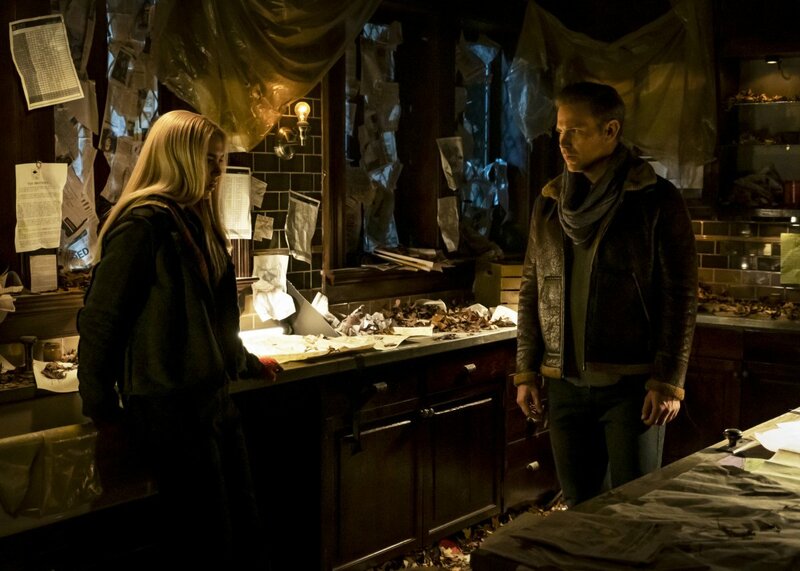 I’m slightly upset that Ric listened to Hope and burned all her documents. Her request was valid since she didn’t want them to suffer at her expense, but Ric should have held onto everything in case there is another loophole that could stop Malivore from rising and simultaneously save her. Why would he do that?!? Almost immediately after her jump, everyone forgot Hope. It’s as if she never existed. But how does this work exactly? Does Landon simply not remember anything about Triad since his brother has also been wiped from his mind. How far back do their memories go? Do they remember that Triad attacked the school under the false belief that the chalice was hidden there? And what happens to poor Rafael? Is he stuck in his werewolf mode? They made it a point to underline that Hope was the only one who could turn him back into his human self. I’m guessing he’ll probably be the only one who will remember Hope when he eventually becomes human again. Triad may have been a group of extremists who hunted down monsters they deemed dangerous, but they weren’t wrong for wanting to keep Malivore under lock and key. The stuff Clarke and Landon’s father wanted to do once he was alive again was disturbing and dangerous. There were moments where I was truly worried about his future if his father remolded. The twins were still at odds following their fight and after finding out about the merge. We assumed Josie was the stronger one, and it seems we were right. But even through her anger, she couldn’t allow her twin sister to die and she threw herself in front of the bullet. Thankfully, Hope’s blood served as the cure because the fact that the episode is called ‘There’s Always a Loophole’ gives me faith that they will find the loophole for the Gemini curse. Unlike with Jo and Kai, Josie and Lizzie love each other so much they are going to be extra motivated to find a way to save each other. They also got their hands on an Ascendant in Ric’s office after Triad lifted his hiding spell. Again, those of us who have watched The Vampire Diaries know that an Ascendant is used to harness the power of a celestial event to create a portal to a different dimension and allow the person to travel to it. There were three in use, but it is believed they were all destroyed. The last one was created with Bonnie, Josie and Lizzie to trap Kai. I’m guessing this is the one Ric was holding onto. Since the girls have their hands on it, there’s a chance they may help Kai escape. Part of me hopes this Gemini coven storyline allows for Kat Graham (Bonnie) and Candance King Accola (Caroline) to guest star! Is Triad officially over now that Malivore has been locked? How did they not figure out that Hope was the key to all of it? MJ’s relationship with his mother is deader than he is. Sorry, Veronica. All the monsters this season have been so on point! Medusa returned to save MJ’s life! I really hope she attends the school and has a thing with MJ. How adorable was Kaleb protecting all the children? MJ telling Kaleb to “be better” when it came to enemies who just tried to kill them was so critical. We should all think like that in our daily lives and refuse to be less than. We finally learned all there is to know about Malivore and truthfully, this is not what I was expecting. We finally got the bigger piece of the puzzle and learned why Landon is the key to all of it. Malivore isn’t just a place, it’s a person. Sort of. It’s a Golem, also known as the Eater of the Dark, who is also Landon’s biological father. I’m just going to let that sink in for a minute. Considering Legacies’ focus on monsters being trapped inside of Malivore and the revelation that Landon is a phoenix, it only makes sense that his father is a monster himself with a legend that dates back millennia. After being captured by MG’s mother, Veronica, Landon is taken to TRIAD Industries where he’s handed over to Ryan Clarke. Ryan’s position at TRIAD has been wishy-washy but for the most part, he’s been connected to the gooey pit of blackness more than anyone else. He’s also been motivated to free unlock the pit of black existence, which is completely opposite of TRIAD’s mission. And now, we know why. Ryan is Landon’s older brother! Again, I’ll let that sink in. “I’ll Tell You a Story” was very heavy on Malivorian background, but it’s pivotal going forward to understand who Landon is, what he’s capable of, and why he’s making the decisions he’s about to make. In a nutshell: the Golem was a created by a witch, a werewolf, and a vampire millennia ago and was spelled not to attack them, which explains why he doesn’t go after any of the students at the Salvatore School. The Golem’s sole purpose was to keep the villages safe from dragons, but once that was accomplished, he took care and absorbed all the other monsters. Yummy, right? I’ll never get the image of the Golem sucking up the human-form of a dragon out of my memory. Over time, the Golem evolved and became a lonely sentient being. And what do lonely, sentient beings do? They try to procreate to carry on their legacy. Legacy, eh? The TRIAD of supernaturals that created him were like “hell naw dude,” and attempted to destroy him, but he’d been so good to the townsfolk, they thought of him as their god. And you know how people get about godlike beings — they protect them at all costs. So, the Golem kept on keeping on and trying to procreate to attain the perfect version descendant to little success. Though I have to admit, Ryan is pretty handsome considering he was literally created from black tar monster. Since Ryan couldn’t procreate, the Golem shunned him and eventually, Ryan turned on his father/creator by convincing the descendants of the secret society to rebel against their god, as humans often do. The witches used black magic to track the Golem and dissolve him to his natural state, the black pit of darkness and endless doom in which monsters are forgotten about. Fast forward to the present and TRIAD has gotten a little power hungry. Power corrupted them — how human of them — and they began throwing anyone into the pit that opposed or upset them — both human and not. And the only person that can stop them? Our beloved Landon because he’s a blood descendant and the only one who can bring back his father. To summarize: Malivore isn’t just a place, it’s Landon and Ryan’s father. I guess that explains why he never tried to find or get to know his son? On some level, that has to be comforting for Landon. It’s almost like a juiced up “it’s not me, it’s you” excuse. In fact, he was “perfect” in his father’s eyes which would be much more reassuring if, again, his father wasn’t a bubbling pit of tar. And though being a phoenix is way better than being a mud man, it’s still a little difficult to accept that Landon was biologically created by a tar monster. After Ryan’s spiel, it seems like Landon is on board with mission “bring back dad,” but I don’t know if that’s such a great idea. TRIAD must be stopped, on that, we can all agree. They’re trying to weaponize the pit and rid the town of all supernatural entities. Are we sure Matt Donovan isn’t behind this company? 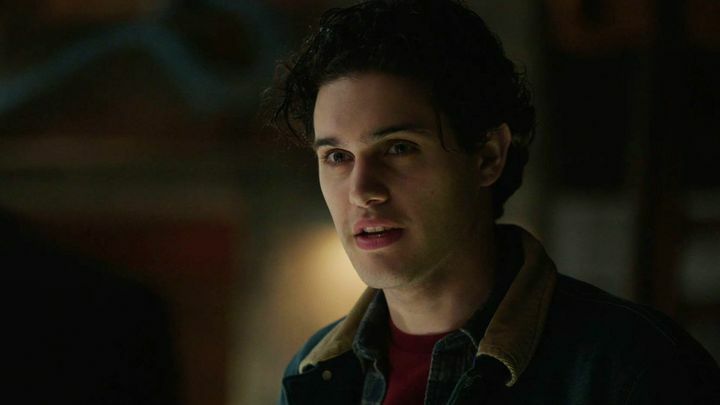 My hesitancy stems from the belief that Ryan isn’t telling Landon the whole truth and instead, simply crafting the narrative Landon wants to hear so he’ll be compelled to help out. Logistically, what happens once they do return his father to the living? Will he just exist amongst the humans? 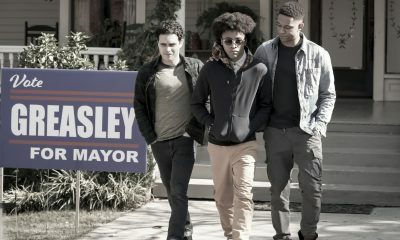 Will he accept Landon and Ryan and will they become one big happy family? I’m also a little unclear on how Landon was born an immortal phoenix from all of this? Was the jumble of genetic monster and human material enough to craft him into one? While I have my hesitations against Ryan, the fact that they are brothers now brings us back to the core values of brotherhood and family that were at the forefront of TVD and The Originals. Ryan and Landon are no Damon and Stefan or Klaus and Elijah but those piercing dark eyes could convince us otherwise. Raf isn’t going to be happy about having his title stolen. TRIAD seemingly figured out that Ryan double-crossed them shortly after he and Landon skipped out to find the third key, a chalice that Landon somehow ‘felt’ wasn’t the decoy. And Veronica, she knew exactly where they were headed. 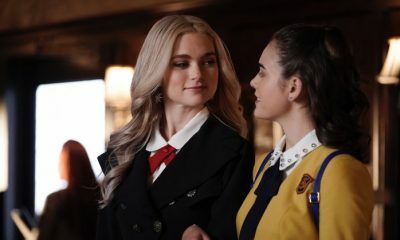 Legacies — “I’ll Tell You a Story” — Image Number: LGC115a_0450b.jpg — Pictured (L-R): Danielle Rose Russell as Hope and Jenny Boyd as Lizzie — Photo: Quantrell Colbert/The CW — ÃÂ© 2019 The CW Network, LLC. All rights reserved. Last we saw, her ruthless agents were invading the Salvatore School so let’s hope Landon and Ryan raise dear old dad in time to save their friends. Alaric has so much on his plate, this is the last thing he needs. Not only is he dealing with telling the twins about the merge, he’s also a trying to keep the peace between the factions. Thankfully, he put his ego aside and made amends with Dorian, who he needs to keep the school afloat. I can’t imagine one human dealing with hundreds of human children let alone a human with three different supernatural types under one roof. After Dorian and Emma quit, it dawned on me that we’ve never seen any other teachers or professors at the school. Who is teaching these kids?! Regardless, it’s not like they have a lot of time to attend class anyway. Josie and Lizzie’s fallout following Miss Mystic Falls continued. Josie was trying to find out everything she could about the “Merge” but it proved difficult as all the pages about it were ripped out in every book. Alaric knows how to cover his tracks. Lizzie attempted to extend an olive branch by forcing Hope to bake Josie a pie. When that didn’t work, Hope handed her a book about ‘The Gemini Coven,’ which she’d seen Ric read on multiple occasions. If keeping this curse a secret from his daughters was so important, why was he carelessly reading the book around them? Josie pieced everything together before Lizzie did, but it was Hope who got the full story from Aunt Freya. Hope our girl is doing well! Finally, Ric came clean about the girls’ doomed fate. About time. It’s probably not a coincidence that Ric disclosed that one would have to absorb the other at almost the same time Landon learned his father absorbed other monsters to help rid the planet of evil. I’m surprised at how well the girls took the news considering one of them is fated to die in just a few short years. Lizzie didn’t seem to remember anything from her alternate reality, which was a little surprising, but it’s probably for the best. Or maybe she did and she just wasn’t letting on as to not hurt Josie even more? In that reality, Josie was the one who ended up dying, though it seems that in this reality, Josie is the stronger one. 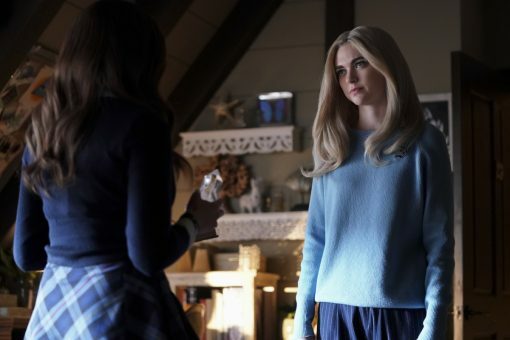 Seeing her overpower Lizzie was unexpected, but ever since she lost Penelope, Josie has gotten some perspective on her co-dependent relationship with Lizzie and has been taking back control. But while I’m all for Josie standing up for herself and getting her own life, Lizzie had a point when she told Josie that she’s been using her as a shield to hide from the world. 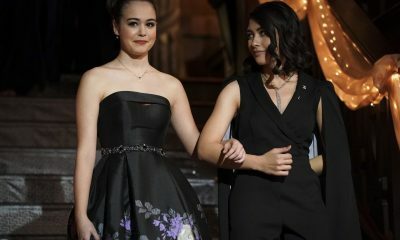 Josie felt safe living in Lizzie’s shadow; Lizzie shouldn’t be blamed for that. She’s selfish and needy but Josie allowed her to be that way. Still, it’s time they put all of this aside and focus on their collective survival. How are they going to break this curse? I’m crossing my fingers that we’ll eventually get a visit from crazy uncle Kai! Hope was scared of losing Landon because she’s in love with him which is why she kept his mother a secret from him. Hope is the P. Sawyer of the series so it’s fitting that I say, “People always leave, but sometimes they come back.” Hope’s feelings may have surprised her, but you know Landon feels the same way. He wouldn’t ever leave her behind although his situation did just get slightly more complicated than when they last saw each other. 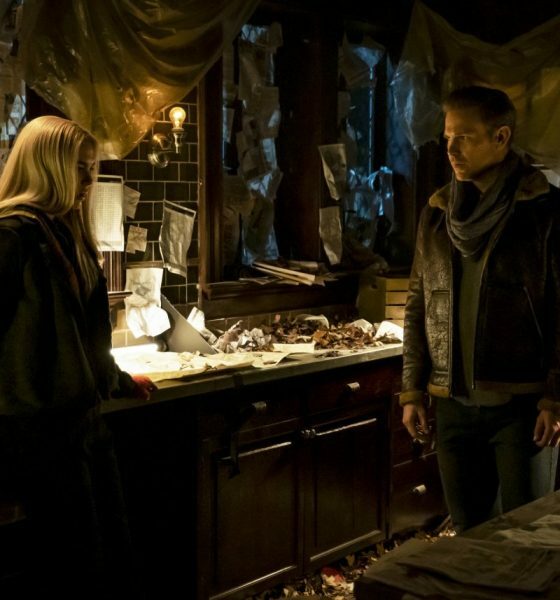 Hope’s going to be concerned once she finds out he isn’t actually an orphan. I know Hope wasn’t really talking to Landon today thanks to the prism but her subconscious version of him was awesome. His reaction to her ‘I love you’ made me giggle like a school girl. Can we point out the fact that this prism could be the answer to seeing old characters from previous shos that are no longer with us? Klaus, Hayley, Elijah could all make an appearance via the prism! Even Lizzie said she uses it to talk to her mother, Caroline, sometimes. Seeing Hope admit that she wasn’t over losing her parents and thought she was at fault was heartbreaking. Also heartbreaking? Hope trying to coax Rafael into “doing what’s best for him” knowing that he loves her. Man, he loves her so much, but he doesn’t want to love her because of Landon. This forbidden love isn’t going to end well especially because I think Hope has some repressed feelings for him as well. I hope Raf learns how to allow his human and his wolf form to co-exist. He cannot be acting on that rage; it’s too dangerous to those around him. At the very least, Hope’s way too close and comfortable with Roman. It’s one thing to forgive the man who almost killed your mother, it’s another to kiss him on the cheek. Maybe it’s best that he goes away for a while. What did you think of all the headway Legacies made tonight? 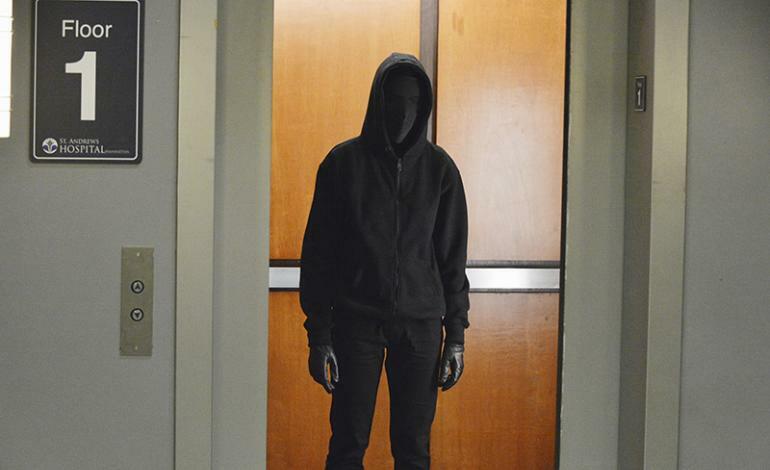 Should Landon trust his brother? Will Hope save her man? Are Josie and Lizzie more fractured than they ever were now that they know about the merge? What is TRIAD going to do to all the students? The season finale of Legacies is next week. How is it that time already? 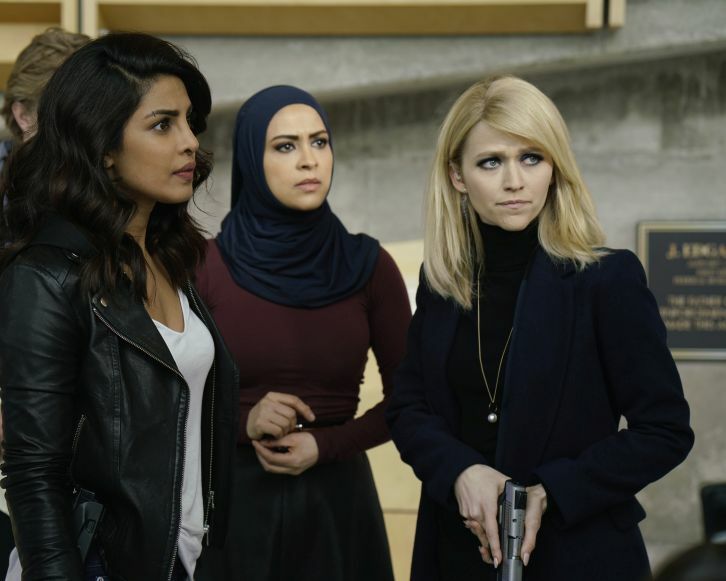 We’re expecting plenty of major cliffhangers as the series has shown us over the course of the first season that they have plenty of tricks up their sleeves. Since Hope promised to go all Wonder Woman for Landon, does that mean she kills for him and activates her vampire side? I remember where I was for my first Miss Mystic Falls. If you watched The Vampire Diaries and The Originals, you likely remember, too. 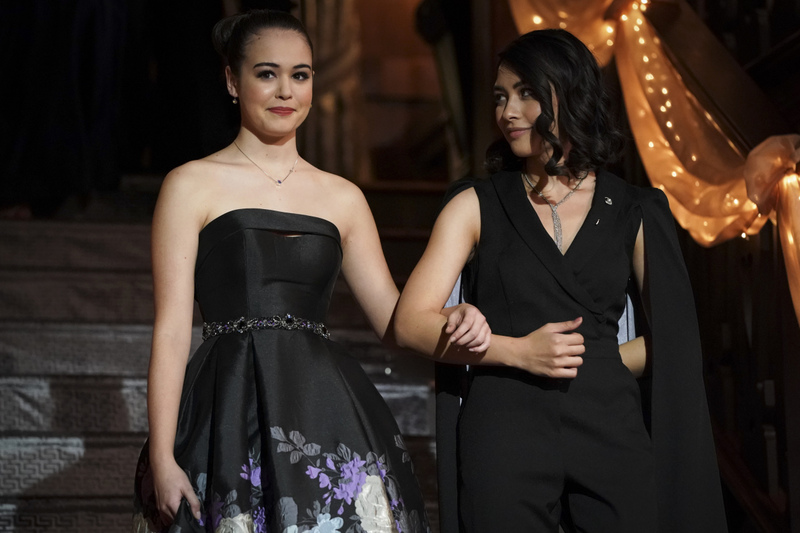 Fans of the original shows were in for a nostalgia-filled night on Legacies Season 1 Episode 14 as the Salvatore School hosted the annual pageant.